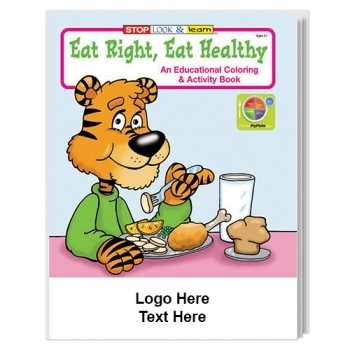 Personalized Coloring Books - Eat Right Eat Healthy are brilliant kids promotional products which will give kids good awareness about the need for eating right and healthy. Health clinics, pediatricians and food brands can utilize these custom printed products to make their promotions impressive, informative and also entertaining. These 16 page custom watercolor paint coloring books consist of a 7" x 1 3/4" imprint area which can be exploited to expose your brand logo, name of any newly launched products etc. 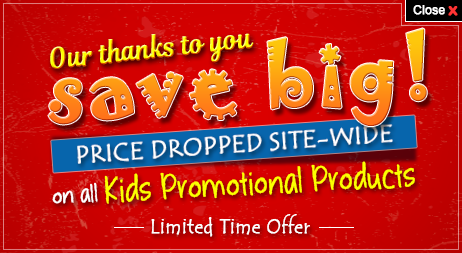 Order these kids promo gifts right away to grab our free artwork design and enjoy fast turnaround times. Request a quote to know the value savings that you can avail on bulk orders of Personalized Coloring Books - Eat Right Eat Healthy.